Love this with these colors!! When I needle marble I love throwing a sparkle in there. Put these on mah fingers! I love that you used a sparkle in this! Pretty! oooo love! makes me want to try water marbling. 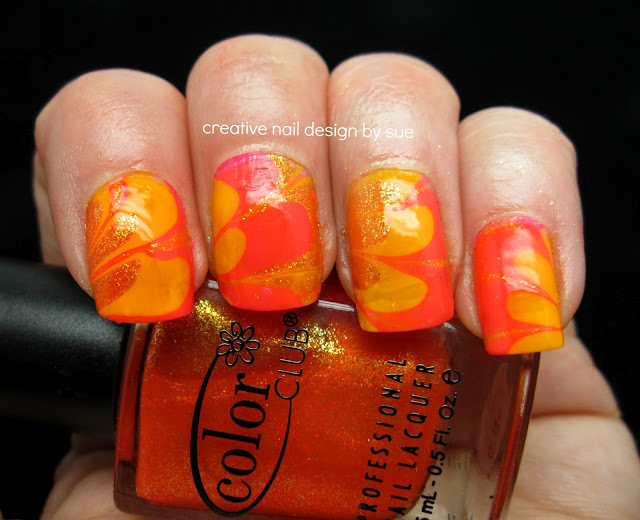 that orange shimmer looks great! i have the whole set, i got it super cheap at burlington coat factory - if you have one of those check there for color clubs. they had the last collection too.